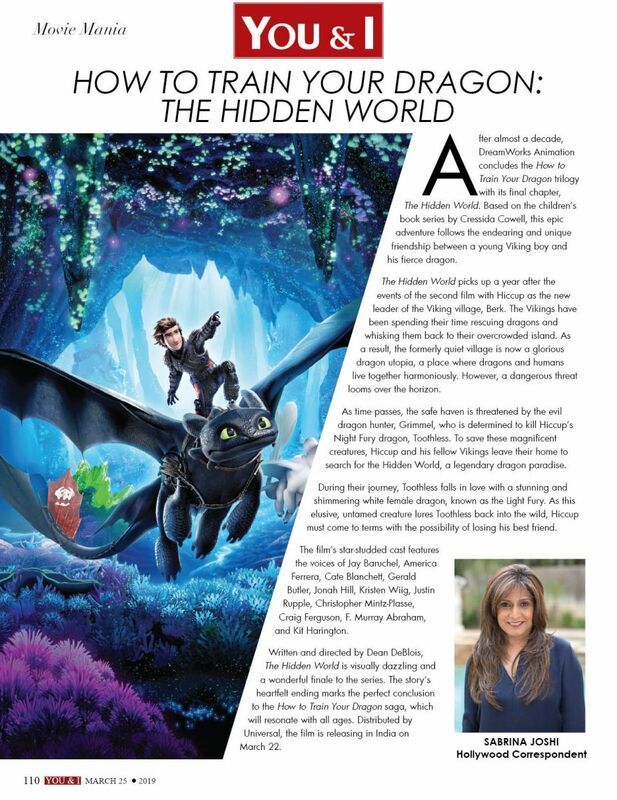 After almost a decade, DreamWorks Animation concludes the How to Train Your Dragon trilogy with its final chapter, The Hidden World. Based on the children’s book series by Cressida Cowell, this epic adventure follows the endearing and unique friendship between a young Viking boy and his fierce dragon. The Hidden World picks up a year after the events of the second film with Hiccup as the new leader of the Viking village, Berk. The Vikings have been spending their time rescuing dragons and whisking them back to their overcrowded island. As a result, the formerly quiet village is now a glorious dragon utopia, a place where dragons and humans live together harmoniously. However, a dangerous threat looms over the horizon. As time passes, the safe haven is threatened by the evil dragon hunter, Grimmel, who is determined to kill Hiccup’s Night Fury dragon, Toothless. To save these magnificent creatures, Hiccup and his fellow Vikings leave their home to search for the Hidden World, a legendary dragon paradise. During their journey, Toothless falls in love with a stunning and shimmering white female dragon, known as the Light Fury. As this elusive, untamed creature lures Toothless back into the wild, Hiccup must come to terms with the possibility of losing his best friend. The film’s star-studded cast features the voices of Jay Baruchel, America Ferrera, Cate Blanchett, Gerald Butler, Jonah Hill, Kristen Wiig, Justin Rupple, Christopher Mintz-Plasse, Craig Ferguson, F. Murray Abraham, and Kit Harington. Written and directed by Dean DeBlois, The Hidden World is visually dazzling and a wonderful finale to the series. The story’s heartfelt ending marks the perfect conclusion to the How to Train Your Dragon saga, which will resonate with all ages. Distributed by Universal, the film is releasing in India on March 22.